The -dflag tells the utility to display the information only, instead of setting the date, etc. The "+%a" options are`date`'s FORMAT options, which are listed in the manpages. On a Fedora22 system with Eclipse Mars version 4.5.1 this worked for me. Create a new C++ project (File > New > C++ Project). You will need to pick a toolchain - Linux GCC. Right click your Project under “Package Explorer” and select Properties.Select (C/C++ Build > Settings > GCC C++ Compiler > Dialect) Under “Language standard” select: "ISO C++11 (-std=c++0x)". Click Apply, then OK.
At this step, I'd suggest to use the system's terminal/shell to find out or verify the existence/location of the necessary files/libraries for SDL2 on your system. Software Requirements:NIC Configuration Filessysctl Kernel ParametersFirewall Configurationdhcpd Server For the sake of clarity the two network cards will be called ifcfg-wan (WAN) and ifcfg-lan (LAN); make the necessary changes for your environment accordingly, e.g. eth0, ens1, enp0s77, etc., as I will not outline how to make naming changes for hardware devices. The configuration files for the relevant network adapters/cards are located in /etc/sysconfig/network-scripts/ifcfg-wan and /etc/sysconfig/network-scripts/ifcfg-lan files. First, make sure all the interfaces are "down" and the ethernet cables are unplugged from both adapters. Assuming you're not using NetworkManager this can be accomplished on the commandline with "ifdown wan" and/or "ifdown lan". Setting up VLAN interfaces in Fedora20 VLAN is an acronym for Virtual Local Area Network. Several VLANs can co-exist on a single physical switch, which are configured via Linux software and not through hardware interface (you still need to configure actual hardware switch too). • To be able to use VLANs you will need a switch that support the IEEE 802.1q standard on an Ethernet network. • You will also need a NIC (Network Interface Card) that works with Linux and support 802.1q standard. Setting Up 802.1q VLAN Tagging This is based on Fedora documentation, specifically F17-System Administrators Guide http://docs.fedoraproject.org/en-US/Fedora/17/html/System_Administrators_Guide/s2-networkscripts-interfaces_802.1q-vlan-tagging.html . # lsmod | grep 8021q# modprobe 8021q is the command to load it if no output results from the grep command above. This post will document how to install a linking program for a TI-83+ on a Fedora18-x86_64 laptop. The purpose of the program is to be able to connect your Graphing Calculator via a USB TI Connectivity Cable, in order to transfer data to/from your Graphing Calculator. I should mention that I am not in any way affiliated with the developers of any of these programs, and I take no credit for any of its development; this is merely meant to help those who are struggling to install this valuable software on their computers. Once again, I've been made to feel as just another outcast in the information age of script-kiddies and spreadsheet warriors; yet another instance of a corporation neglecting Linux users with lacking software support and drivers for their devices. As in most other cases, the linux community provides their own workaround in this instance as well; namely, the SANE (Scanner Access Now Easy) backend and libraries for the Samsung CLX-3185 Multifunction Printer/Scanner device. The Samsung support website claims to offer a "Universal Linux Driver", but that's just a smokescreen created by the ineffective binaries and poorly constructed installation scripts from Samsung. Notwithstanding, the SANE backend implementation isn't perfect either--as there are still issues with certain System setups, USB 3.0, or simply non-supported devices--but it's far better integrated into the Linux ecosystem. The linux kernel adds the benefit of making firmware drivers available for a large number of widely-used hardware devices and components. This provides great convenience and ensures portability and sane defaults across the various OS distributions. The open-source nature of the Linux kernel, however, relies on the hardware manufacturers to make the firmware and/or drivers available to the Linux community; a process that can be frustratingly slow at times, depending on the hardware manufacturer. Furthermore, once the driver is included in the kernel, it falls on the various OS distributions to make the kernel or a patch to the kernel available for the users to install. A "healthy" debate on the virtues, use-cases, and overall disdain and misconceptions of SystemD. Specific use-cases in "less-common" configurations provide a challenge as well as an opportunity to learn about the underlying mechanism of certain aspects of the Operating System. A substantial number of years working in/with Linux doesn't preclude a person from learning how to use new tools and mechanisms even if, or perhaps especially when, the mechanism is low-level software. "God" help you if you make the mistake, as I did today on a newly-installed Fedora21 system, to delete an LVM swap partition without taking the proper precautions before rebooting. If you are in this position, or have been in the past, you've come face to face with the dracut rescue shell and its limited set of "shell" commands. While the rescue shell offers some potentially useful functions (commands), I could not successfully use it to implement any of the advised steps from manual pages and internet forums I came across when searching for a solution to this problem. Without a doubt, one of the most powerful and essential tools a system's administrator has is the ability to gain root privileges. While it's generally a bad idea, to say the least, to perpetually operate as the root user on any given system, being able to log in as the root user on the command console is essential at times. Therefore, it's frustrating to be in the position as a system administrator if you've forgotten or otherwise lost the password and are, subsequently, unable to gain escalated privileges on a system. Since the shift to grub2, as well as other changes with the init system, the method of gaining access to a system for such low-level purposes has changed. Install dconf-editor in RHEL or Fedora, then go to org -> gnome -> desktop -> wm -> preferences and make sure auto-raise check-box is checked on. Also, change the focus-mode to sloppy or mouse. 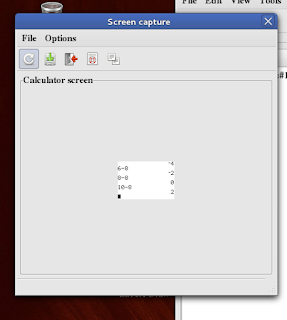 The window focus mode indicates how windows are activated. It has three possible values; "click" means windows must be clicked in order to focus them, "sloppy" means windows are focused when the mouse enters the window, and "mouse" means windows are focused when the mouse enters the window and unfocused when the mouse leaves the window. The time delay before raising a window if auto-raise is set to true. The delay is given in thousandths of a second.